Do you have your own 'YouTube' channel yet? Many people across the globe have begun 'vlogging' about merchandise, services, or providing online consumer product reviews. Our talented actress above is "camera ready" while providing her audience with the latest cosmetics and skin care tips. 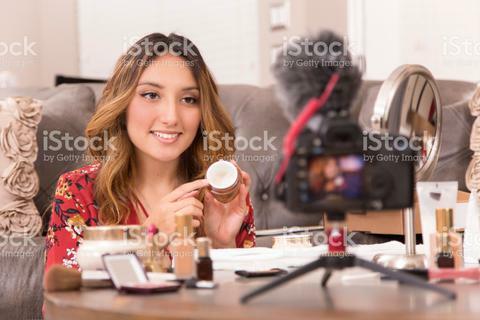 With her products on a table in front of her and her digital camera recording, she is ready to provide the latest news in make-up and healthy skin. To view more images and videos from this shoot, click the link below. Or, to view or download the image above, just give it a click!